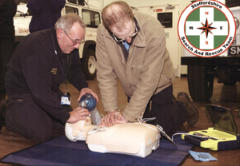 Heartbeat UK is a charity set up to benefit the community in providing life saving defibrillators. 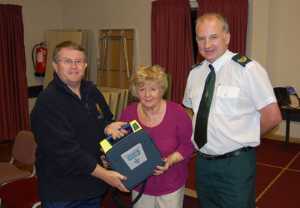 Increase the number of community based AED's (Automatic Electronic Defibrillator). 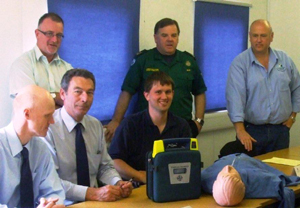 Increase awareness of AED use and Resuscitation Training. Place AED's in public spaces such as Rural Locations, Care Homes, Residential Complex, Medical Centres, First Responder Fast Response units. Encourage AED's placed on all Emergency vehicles. We have identified an urgent need in the UK for these life saving machines especially in rural areas where the emergency services have difficulty in reaching isolated areas to treat heart attack victims. We rely solely on the goodwill of public donations to achieve our aims. Our fund-raising is our only means of support and so is absolutely vital to us. Please help us to provide this essential equipment. Contact us and see how you can help us to provide these life saving machines. Working with voluntary organisations to involve young volunteers with the experience of local based projects that benefit the community.